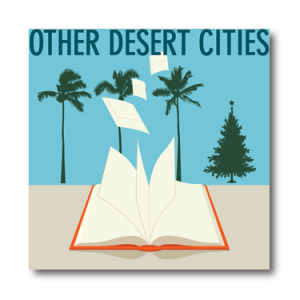 Auditions for “Other Desert Cities“, The Providence Players winter production, will be held on December 1, 3, 4, 5 2014, at the James Lee Community Center located at 2855 Annandale Rd. Falls Church 22042. Call backs will be held Monday, December 8th by invitation. The “TR” Room is located in the main entrance hallway of the community center to the right of the main desk. The Arts and Crafts Room is located down the hall to the left of the main desk. The “Urbanites” room is also located down the hall to the left of the main desk. 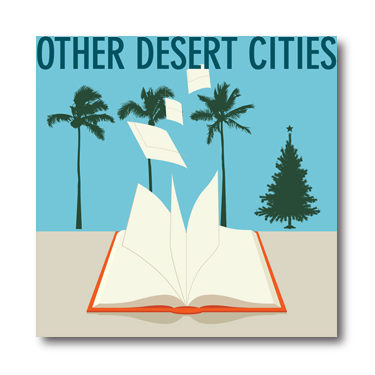 In this searing comedy-drama, young writer Brooke Wyeth returns home to Palm Springs to celebrate Christmas with her famous and politically-connected parents, brother and aunt. When she announces her plans to publish a tell-it-all memoir of crucial events in the family’s past, she brings to light old wounds, family secrets, scandal and intrigue. “The script crackles with wit, humor and life”. This riveting and humorous play was nominated for a 2012 Tony Award for Best Play and was a finalist for the 2012 Pulitzer Prize. HOW WE WORK: Please RSVP with the date you plan to audition to help us in our planning. Most PPF auditions have actors up and down to read multiple times in multiple combinations and scenes. Most actors find this fun. As space allows, you will be able to watch all the auditions. You may be asked to go into the hallway with audition partners and work a bit on a scene. We will do our best to get you up multiple times reading for parts you are interested in. You will also be asked to read for other parts you may not be auditioning for. The Providence Players strives to make our productions open to interested and engaged actors & actresses, regardless of their level of experience. We try and make our auditions as relaxing and fun as possible. The director, at her discretion may ask individual auditioners to return for another initial audition evening. AUDITION PROCESS: Auditions will consist of readings from the script – No separate monologue is required. The audition sides contain some selected monologues which the director may choose to have you read. There is no requirement to memorize these monologues. You are encouraged to familiarize yourself with the play as whole and the audition sides. AUDITION SIDES: Sides for the audition process will be supplied at auditions and are included in this announcement. Additional sides may be added at the auditions and at call backs. AUDITION FORM: Resumes and headshots will be accepted, but are not required. Please ALSO COMPLETE the attached PPF Other Desert Cities Audition Form and bring it with you to the audition. A copy of the preliminary production schedule is included with this announcement and will be available online and at auditions. Stage rehearsals begin in February 2014. In addition to the stage rehearsal schedule, additional full cast readings of the play and some selected scene study and character work may be scheduled based on actor availability in January prior to the stage schedule. The schedule for these will be finalized a week or two after the show is cast. Unless indicated otherwise, all rehearsals will happen at the James Lee Community Center. Rehearsals will be held in the evenings roughly from 6:30/6:45 to 9:45 pm and on Saturdays and Sundays as indicated. It’s December 2004 and Brooke Wyeth returns home to Palm Springs after a six year absence to celebrate Christmas with her parents, her brother and her aunt. Brooke announces that she is about to publish a memoir dredging up a pivotal and tragic event in the family’s history – a wound they don’t want reopened. In effect, she draws a line in the sand and dares them all to cross it. Every character is smart, quick-witted and deeply flawed. The parents are wealthy, well-connected Republican activists and friends of the Reagans. Lyman Wyeth, an actor known for his death scenes, has been state GOP chair. Polly, his wife and ferocious protector, is a forceful practitioner of tough love – with her children as well as her liberal, alcoholic sister and former screenwriting partner, Silda, now recovering from her latest round of rehab. Lefty daughter Brooke is a novelist who’s been going through a rough patch of writer’s block and a breakdown that involved a long hospital stint. She’s home for the holidays, as is her younger brother, apolitical TV producer Trip. And she’s brought her manuscript, snapped up by Knopf, which tells the story of her beloved, older brother’s involvement in the fatal Vietnam War-era bombing of a military recruitment center, his suicide and their parents’ responsibility for his actions.